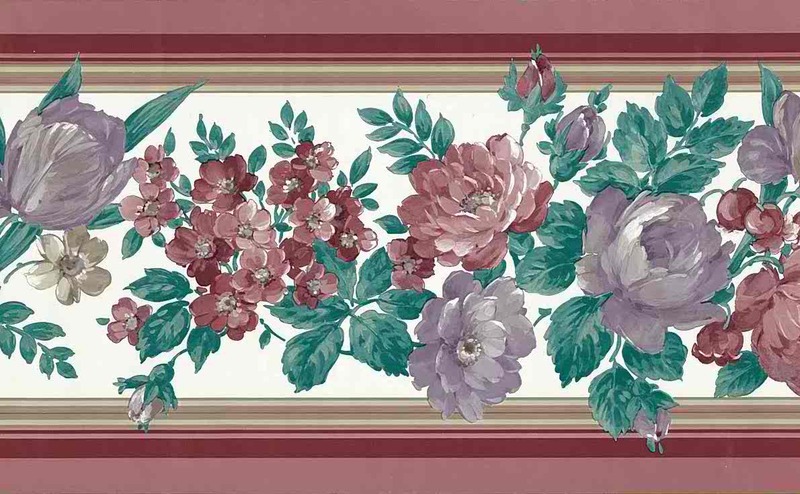 Floral vintage wallpaper border. Varied flowers including tulips, anemones and roses. Dramatic colors. 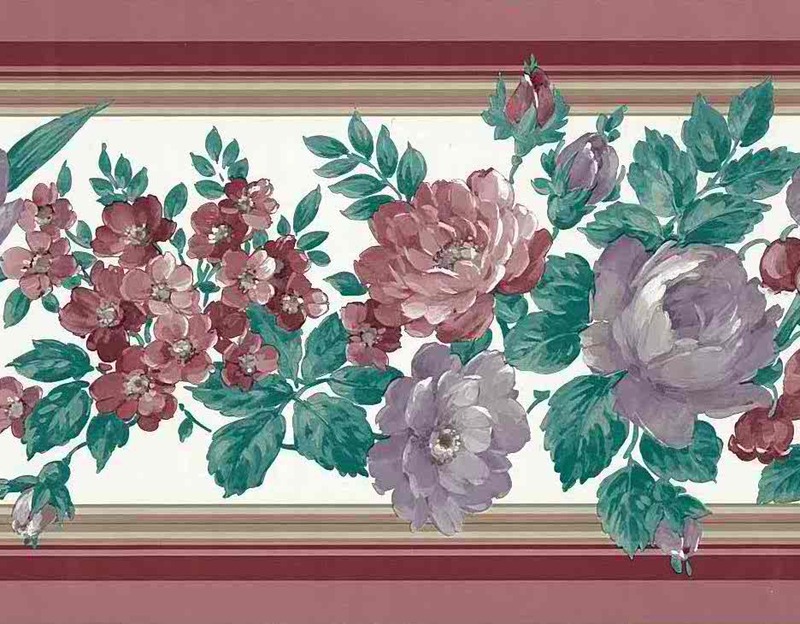 Red, Maroon, Pink, Rose Lavender blossoms with Green leaves on an Off-White background. Top and bottom edges include Deep Red and Rose bands of color. UK manufacture. English Cottage style. Usage: Ideal for a Guest Bedroom or Bathroom.